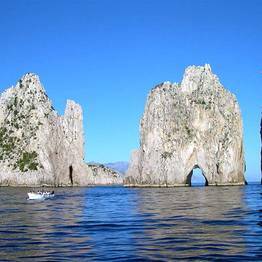 A half-day tour of Capri including a sail along the coast by private gozzo boat with a guide, stops to swim, and a walking tour of the center of Capri town including The Piazzetta and the Gardens of Augustus. 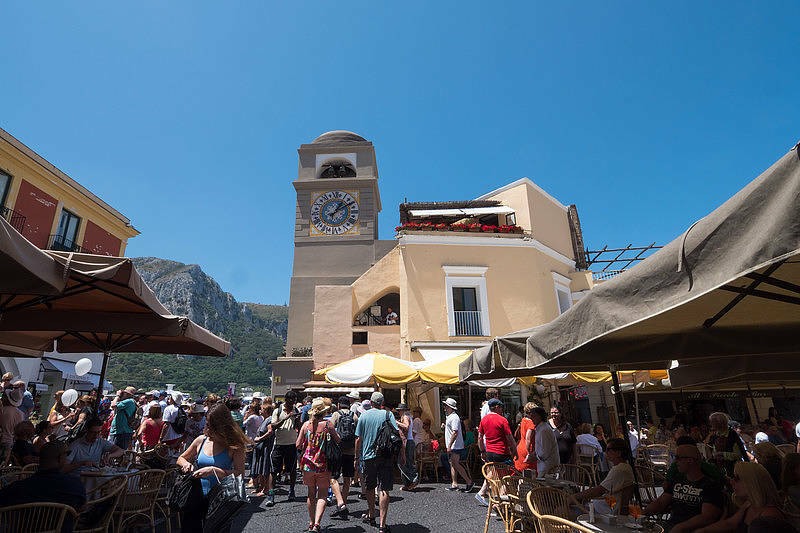 Meet-up at "Bar Gabbiano" at the Capri port. 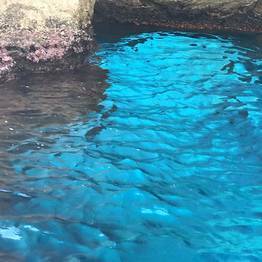 Private guide in English, Italian, or Spanish. 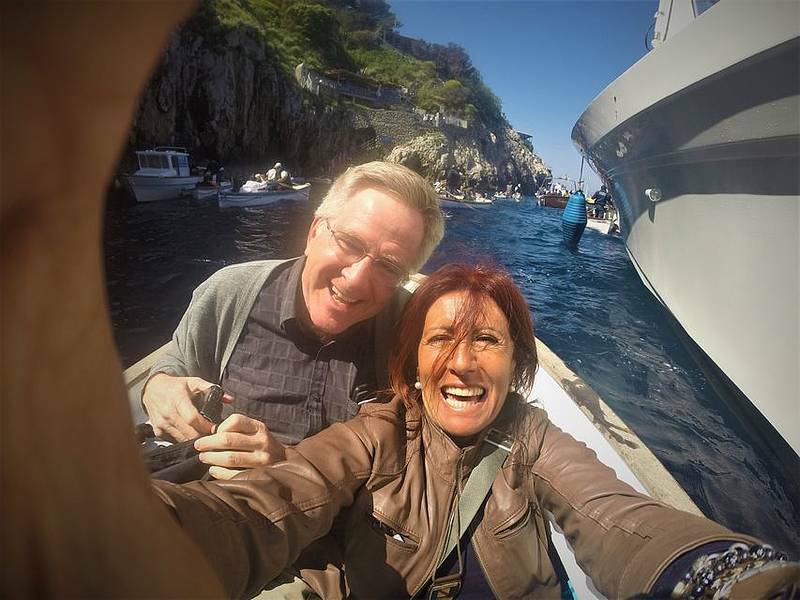 Boat tour of Capri via a traditional wooden gozzo boat. 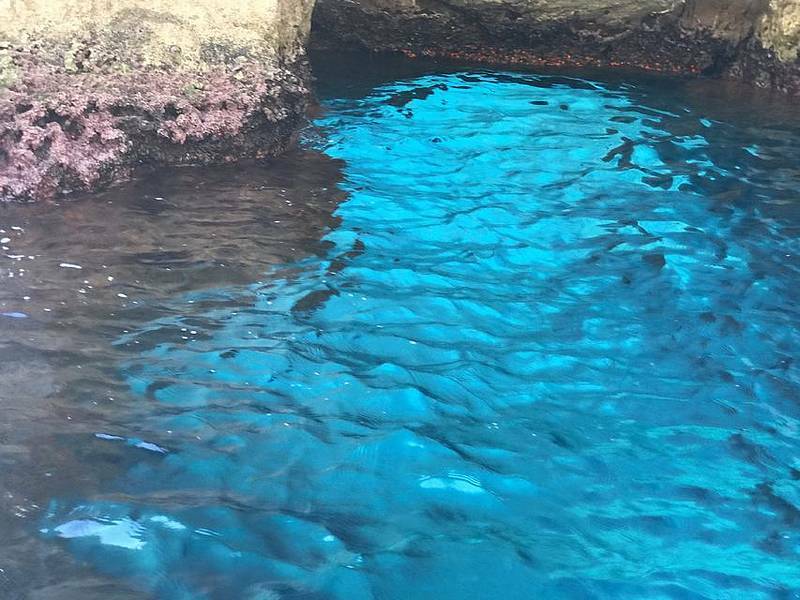 Skirt the coast to see the natural sea grottoes, Faraglioni, and Lighthouse. Fresh-water shower and alcoholic and non-alcoholic drinks on board. 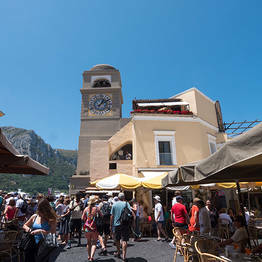 Funicular from the port to the center of Capri. Stroll through the Piazzetta and the village lanes. Stop at Gardens of Augustus overlooking the Faraglioni and Marina Piccola. Meet up: Pier 23 at the Marina Grande port, "Il Gabbiano" bar. 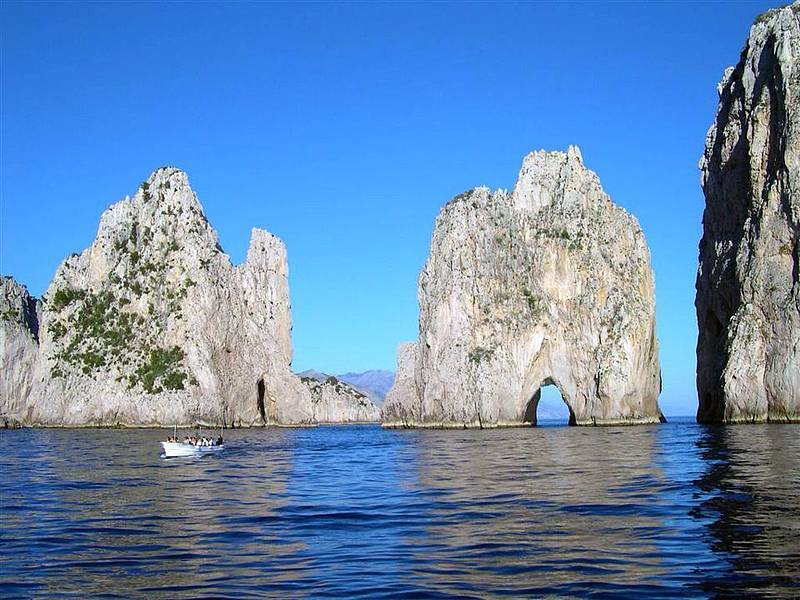 During your boat tour, you can swim in the waters off Capri, so bring your bathing suit! 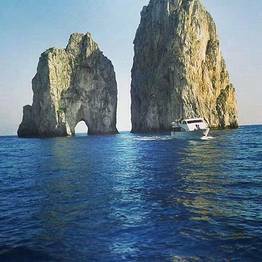 Additional sights: You can visit the Blue Grotto during your boat tour for an additional cost of €15/per person, paid directly at the entrance to the grotto. 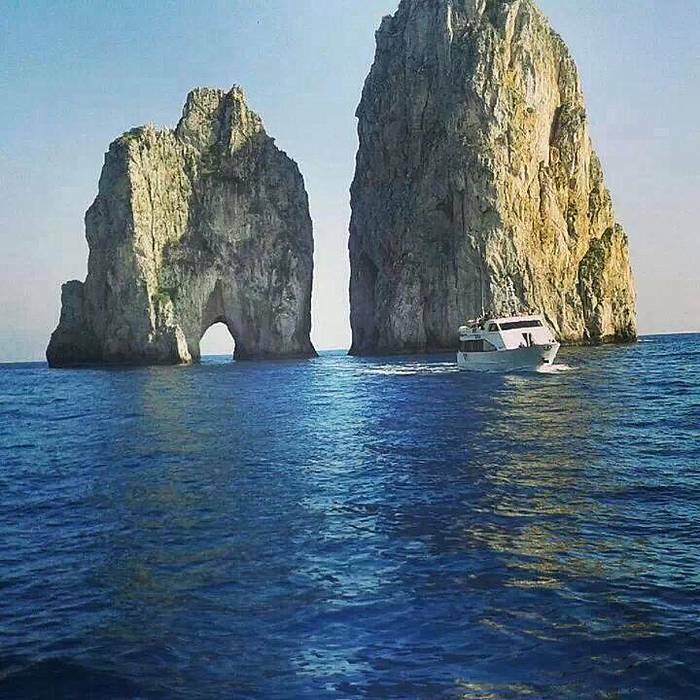 Due to long lines to enter the Blue Grotto (up to 2-3 hours), your boat tour should begin no later than 9AM to reach the grotto before the crowds arrive.